First check to see if you are eligible for Get in the Game Grant of $150. 1. 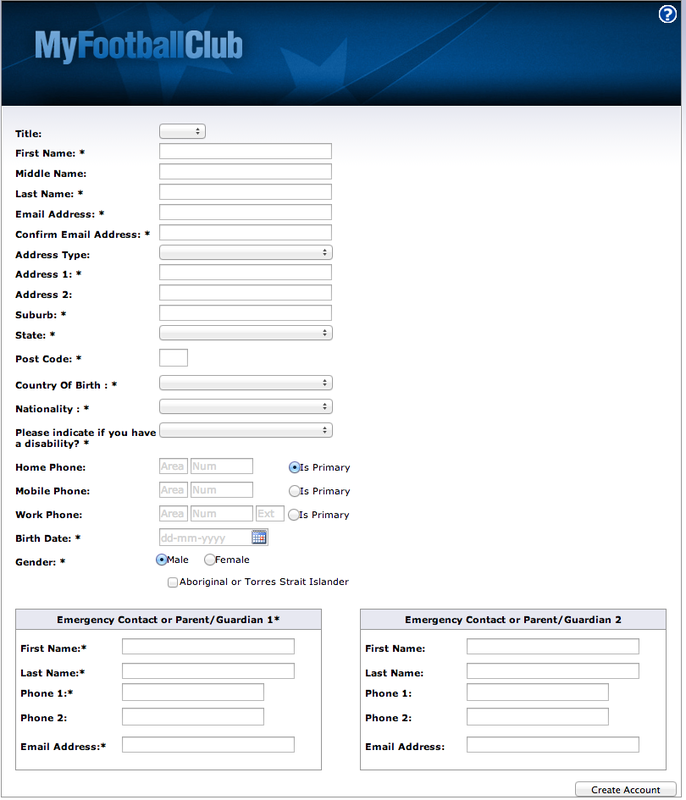 First step is to obtain a FFA Number from the following site. 2. Tick checkbox to agree with the terms. 5. This will generate a new FFA number and password. These details will be immediately emailed to you. 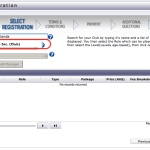 Now follow the instructions for returning players to complete your registration. 1. 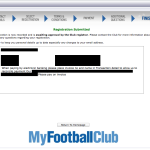 Go to the MyFootballClub self registration page. 2. 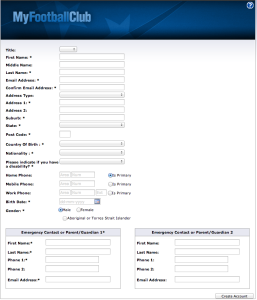 If you have your FFA number and password then complete the logon details and proceed to the self registration process. Skip to step 5. 3. If you don’t have your FFA number then click (Need your FFA Number?). 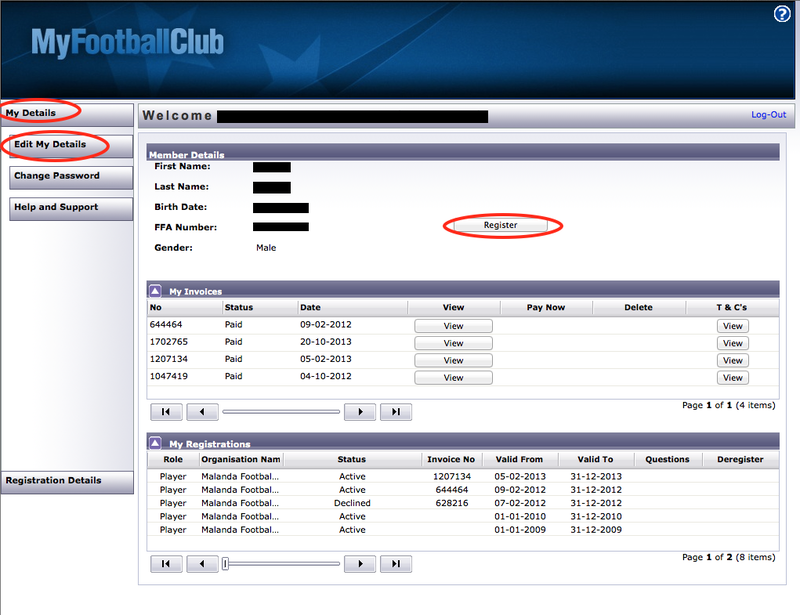 Enter the players First Name, Last Name, Birth Date and Click ‘Search’. If this does not return your FFA number then you will need to create a FFA account. See instructions for ‘New Players’. 4. 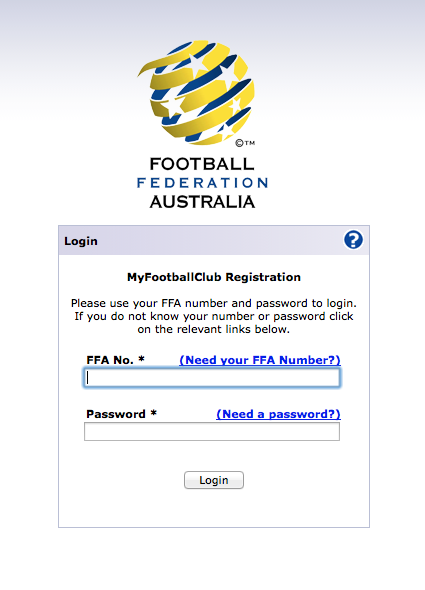 If you have your FFA number, but you have forgotten your password then click (Need a password?). 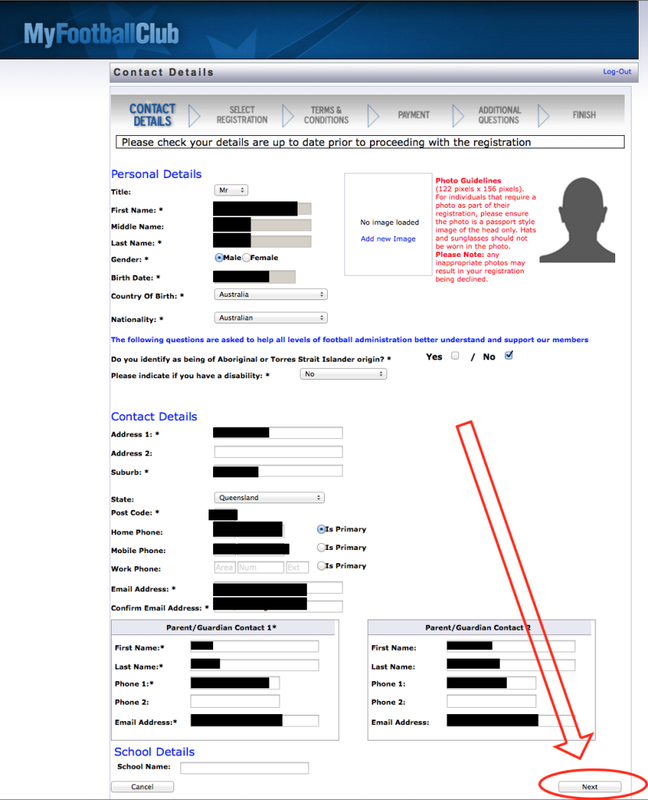 Your Email address needs to be the same as the one you have previously registered with. You must also have access to this email account as the password will be emailed to you. 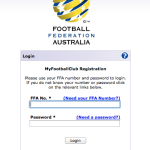 If your email address does not match with the data in MyFootballClub – Contact FFA support on (02) 8020 4199 or myfootballclub@footballaustralia.com.au to update your email address. 5. 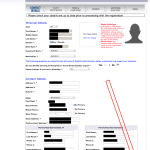 The self registration screen will be displayed. 6. 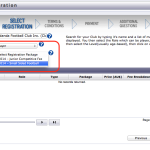 Click ‘Register’ to begin the registration process. 7. Update any particulars, especially contact details. There is no need to upload the player’s image . 8. Click the ‘Next’ button located on the bottom right of the screen. You may need to scroll the page down to see it. 9. Follow the steps from 1 to 4. 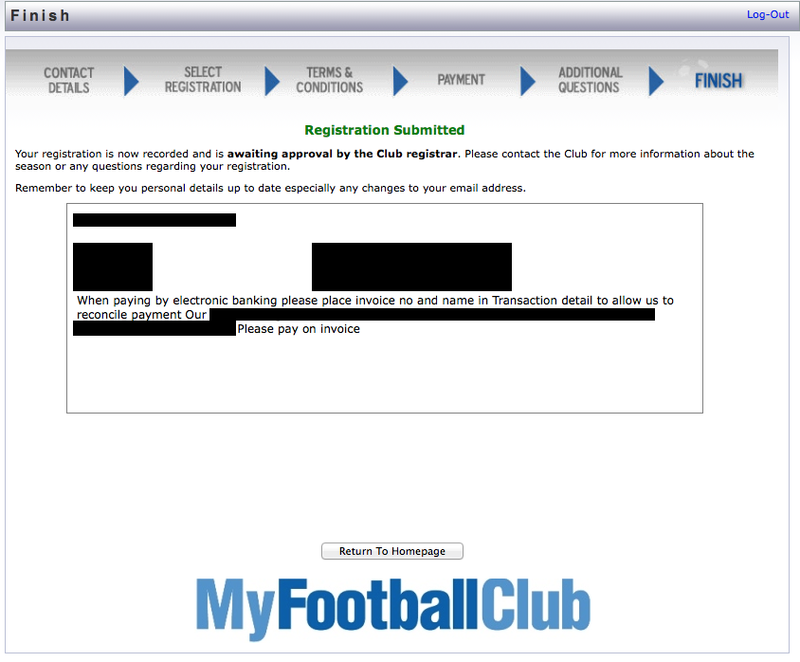 In step 1 you will need to enter your club name. 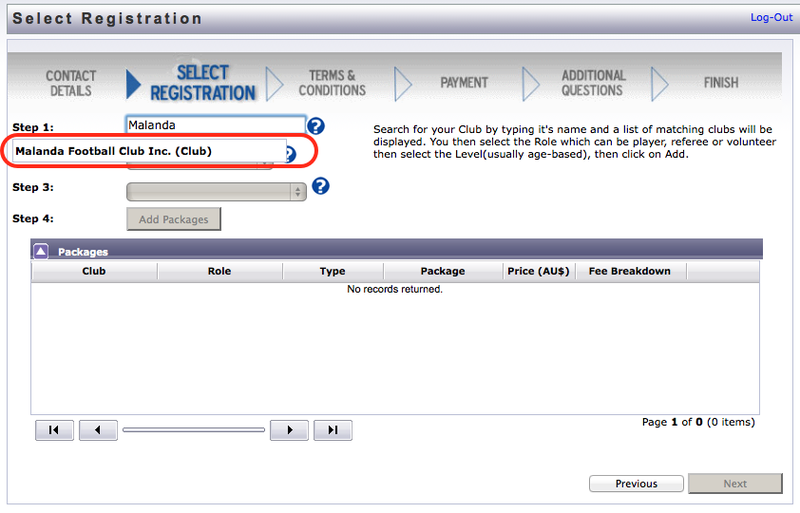 Type the first 5 characters of your club name and a drop down list will appear with your club name. 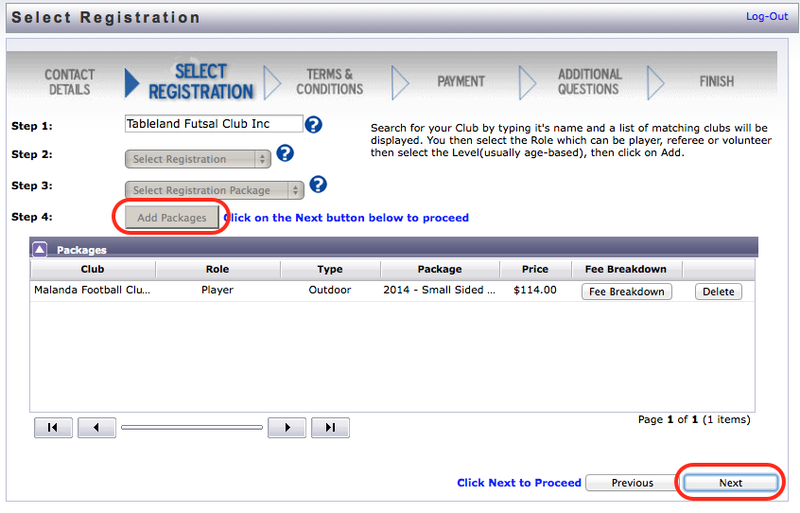 Click your club name. 10. Now select ‘Player’ in step 2. If you are a volunteer or coach then select the appropriate option. 11. 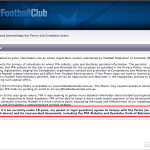 If you selected ‘Player’ then you will be presented with ‘Junior Competitive Fee’ and ‘Small Sided Football’ / ‘MiniRoos’. All players aged between 5 to 11 are ‘Small Sided Football’ / ‘MiniRoos’. 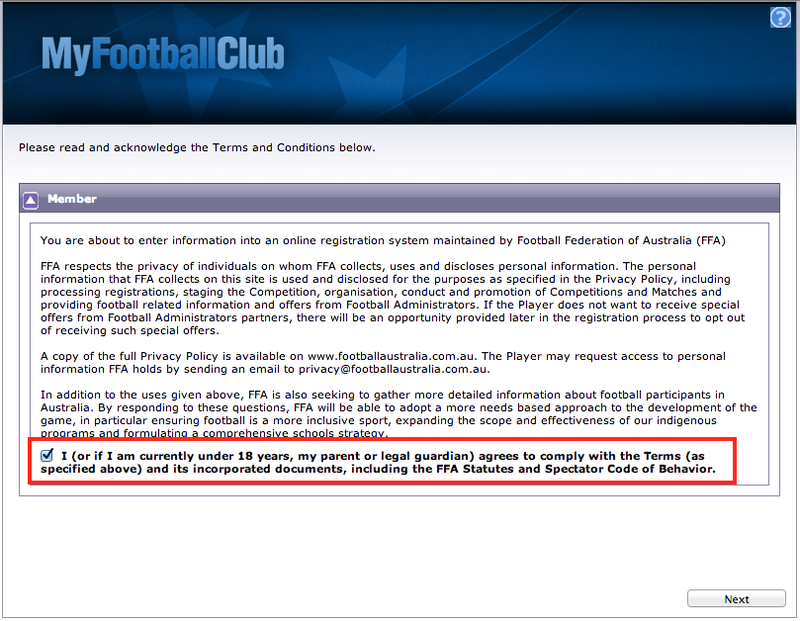 If your player turns 12 this calendar year then select ‘Junior Competitive Fee’. 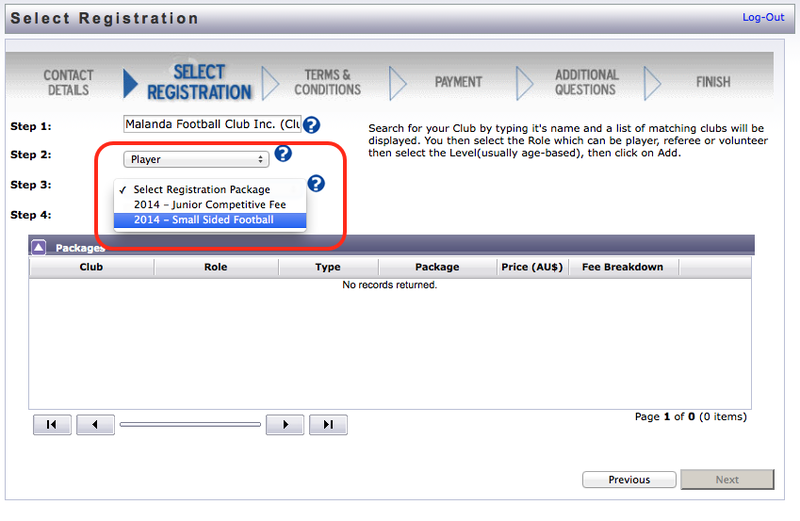 All player above 12 years are also ‘Junior Competitive Fee’. 12. Click the ‘Add Package’ and then the ‘Next’ button. 13. Please read the ‘Codes of Conduct’ (important) and then accept the terms and conditions by click the ‘Acknowledge all’ checkbox on the bottom of the screen. 14. 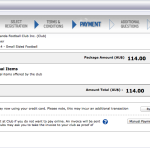 Some clubs may give you the option to ‘Pay Online’, if so then click the ‘Pay Online’ button and follow the credit card payment process. 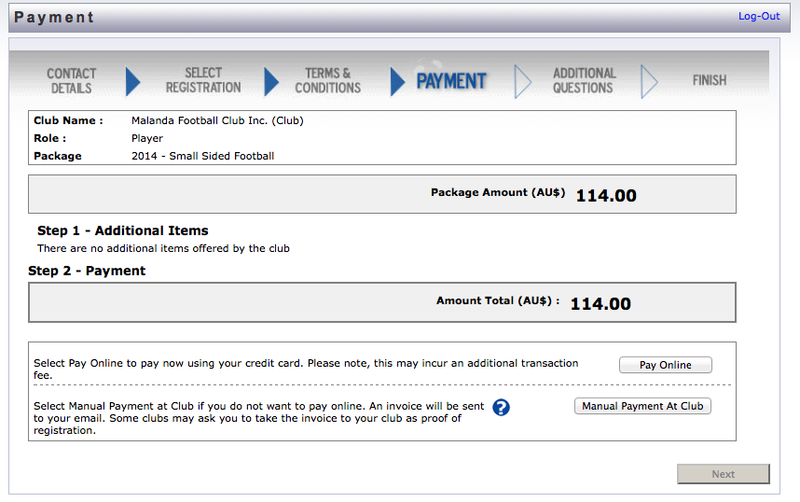 If you do not want to pay online click ‘Manual Payment At Club’ and an invoice will be sent to your email address. 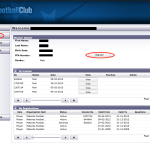 Some clubs may ask you to take the invoice to your club as proof of registration. 15. Click the ‘Next’ button to answer any additional questions. 16. Click the ‘Next’ button to submit your Registration. 17. 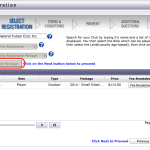 If you selected ‘Manual Payment At Club’ you can either perform an Electronic Funds Transfer or bring cash / cheque to your club’s sign-on day.